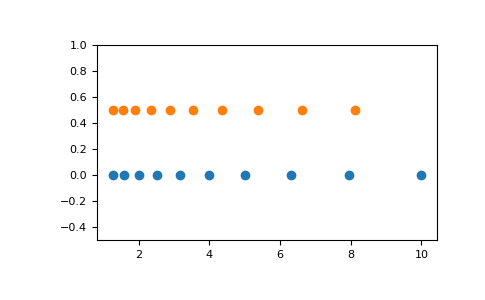 Similar to linspace, with the step size specified instead of the number of samples. Note that, when used with a float endpoint, the endpoint may or may not be included. Similar to logspace, but with endpoints specified directly.